Social media is a powerful platform that could help your ministry grow. But with many moving parts, the operational side of social media can be overwhelming. 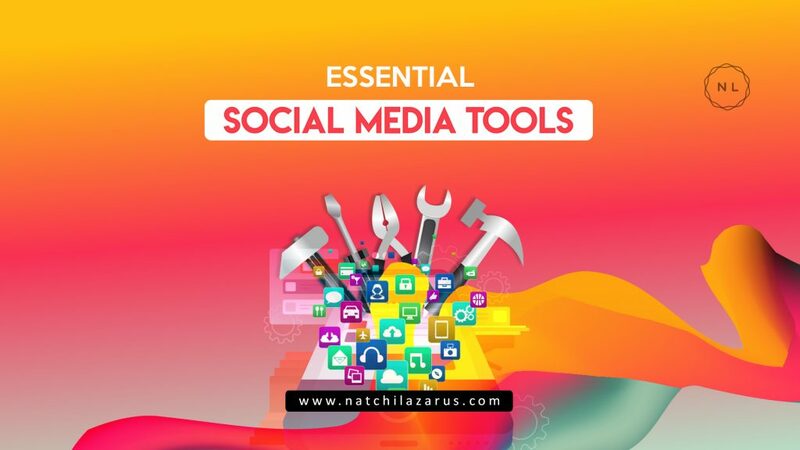 You can make it easier by having the right social media tools in your toolkit. In fact, without the right tools you might even end up in trouble. For example: Let us assume that your team posts content on social media without a ‘social media monitoring‘ tool in place (which is one of the tools listed below that helps you check the quality and relevance of the content before and after posting). And assume that, by mistake, something inappropriate or an erroneous message gets posted. You run the risk of having a message out there on social media that might potentially impact your reputation as a church or nonprofit and not even knowing that the damage has been done. So, having the right social media tools is not only a good practice, but an essential aspect of your social media management. Everything in social media depends on your clarity of the why. Having the right tools to plan, research, brainstorm, document and review your strategy on a regular basis is essential. Content is the central piece of social media. Creating good, value adding content on a consistent basis is essential for social media success. Having the right tools to help you quickly and easily create consistent, high quality content on a regular basis can be a blessing. Visual elements help you convey your message better in a crowded social media space. You can hire a designer to help you create them or do it yourself with multiple tools available in the market, depending on your ministry needs, size, budgets and workflow. Video is undoubtedly the most effective form of content on social media right now. Though social media audience do not look for a video with movie production quality, they do look for quality in content, uniqueness in delivery, value addition and creativity. Managing social media has multiple tasks – gathering all the content that you have produced, organising them channel-wise and campaign-wise, collaborating and publishing them (or scheduling) at the right time. Social media is a two-way communication medium. In traditional advertising, you released an ad in a newspaper or TV, and you waited for the phone to ring or for people to turn up. That took time. But on social media, engagement and feedback is immediate and quick. Monitoring what your audience are saying about you or how they respond to your social media message and reacting to it in a timely manner can be a game-changer. But the challenge is to track each channel and go through the 100s of stories (and not get distracted) while looking for posts and comments that talk about your ministry or your content. This is where monitoring tools can help . They do the hard work of browsing through the internet and looking for stories that mention your message or your ministry. They they present that information to you for your response. As Peter Drucker says, if you do not measure something, you cannot manage or improve it. Many ministries miss the importance of measurement. Make plans to measure, analyse and review every campaign and post. After all you take so much effort creating good content, don’t you want to know how it is performing? Here is a list of tools to help you measure data across channels and campaigns. All-in-one tools: All tools mentioned in the social media management section above, have analytics and reporting built into them. The time you spend in researching, building, learning, customising and implementing your social media tools is a key investment into your online ministry. As mentioned earlier, the right tools help you save time, energy, money and resources. So keep exploring. Allocate sometime every week to look for new tools. I do that regularly. I am a great fan of tools sites like Product Hunt, that help you keep track of new tools. If you know of any other tool that need to be added to this list, do let me know, since I plan to keep this list updated on an ongoing basis. You can use the comments section to share your thoughts, add to this list or ask a question. Thank you. I appreciate it.